One student, in particular, David Hogg has been astonishingly articulate and highly skilled at propagating a new anti-Conservative/anti-Trump narrative behind the recent school shooting. Few have seen this type of rapid media play before, and when they have it has come from well-trained political operatives and MSM commentators. 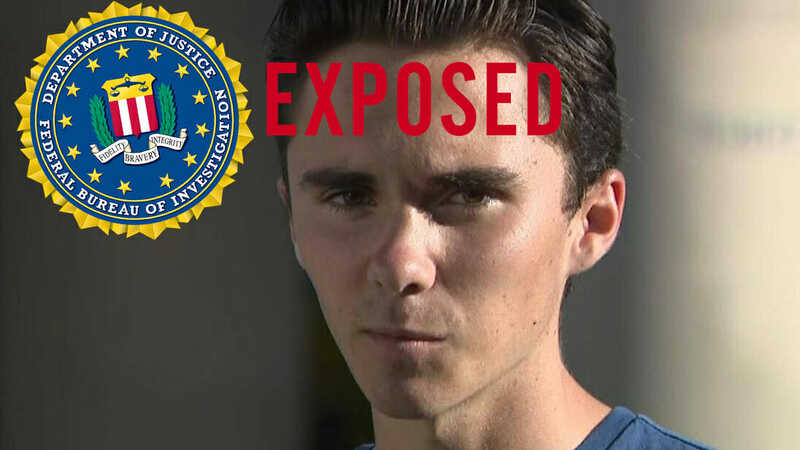 In what was initially as an incredibly odd move for a high school student, Hogg vehemently defended the FBI and placed the blame squarely on the President’s shoulders…. before admitting that his father was in the FBI. Anyone who has been following the news could tell you that many in the FBI have been working against the president from the start, with the most notable case involving collusion between the FBI, Obama Administration, and the Clinton campaign to push the false ‘verification’ of the junk Steele Dossier. It has also been widely reported that the FBI received tips well in advance of the Florida school shooting and decided, for whatever reason, not to act. Adding to the “credibility” of Hogg, in a recently uncovered early cut from one of his interviews it appears he was heavily coached on lines and is merely reciting a script. Frequently seen in the footage mouthing the lines he should be reciting. Hogg becomes flustered multiple times, is seen apologizing, and asking for re-takes.